Objective The aim of this study was to examine whether sleep problems predict subsequent sickness absence among middle-aged public sector employees. Methods The data included 5391 female and 1454 male employees of the City of Helsinki from questionnaire surveys at baseline in 2000–2002. These data were prospectively linked to the employer’s sickness absence register data, with a mean follow-up time of 4.1 years. Using Poisson regression analysis, we examined associations between sleep problems (none, rare, occasional, and frequent), as indicated by the Jenkins Sleep Questionnaire, and self-certified short (1–3 days) and medically confirmed intermediate (4–14 days) and long (≥15 days) sickness absence spells. Sociodemographic factors, working conditions, work–family interface, health behaviors, and health status were obtained from the baseline surveys. Result At baseline, 21% of women and 17% of men reported frequent sleep problems. Frequent sleep problems were associated with subsequent sickness absence spells irrespective of length of absence among both women and men after adjusting for age. After full adjustment for all covariates, the associations attenuated but remained for self-certified sickness absence [risk ratio (RR) for women 1.40, 95% confidence interval (95% CI) 1.25–1.56 and RR 1.59, 95% CI 1.24–2.03 for men], and medically confirmed intermediate (RR 1.34, 95% CI 1.17–1.52 and RR 1.35, 95% CI 1.02–1.77, for women and men, respectively) and long (RR 1.58, 95% CI 1.29–1.94 and RR 1.44, 95% CI 0.93–2.21, for women and men, respectively) sickness absence spells. Occasional sleep problems were also associated with sickness absence, but the associations were somewhat weaker.  Conclusion In occupational healthcare, sleep problems should be addressed to prevent their occurrence and subsequent ill-health and sickness absence.